Toast and squeeze icing on pastries as directed on package. In blender, place remaining ingredients. Cover; blend on high speed 1 to 2 minutes or until smooth. Pour into 2 glasses. Serve immediately with pastries. 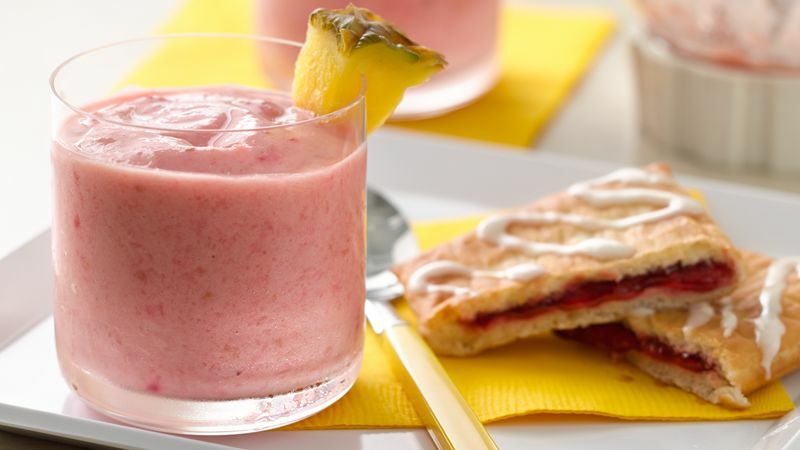 Fun to garnish with a fresh pineapple wedge or some fresh raspberries. To sweeten up the smoothie, add up to 1 tablespoon honey to taste.